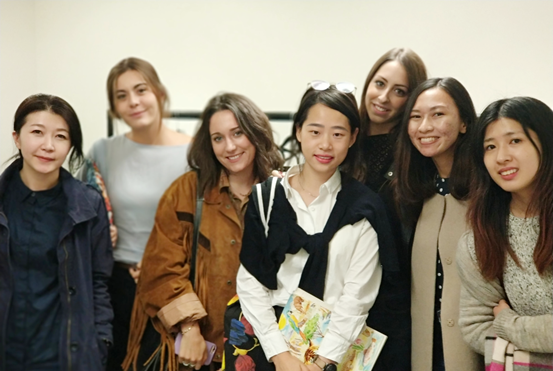 In line with our Common Good mission, GCU London students attended the ‘Sustainability in the Fashion Industry’ event organised by The Fashion Law Chronicles and Cassady’s Solicitors. 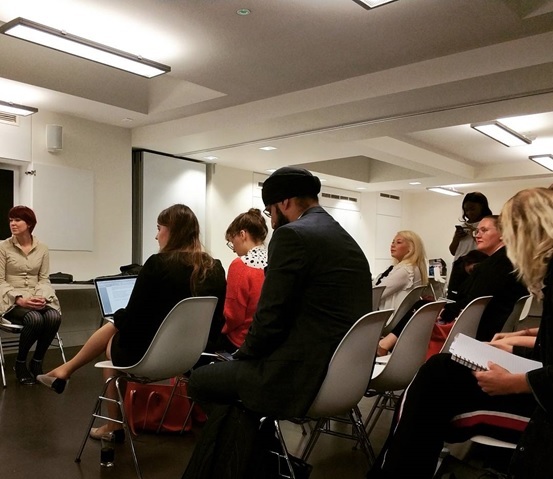 The session, held at Condé Nast College of Fashion on 27th September focused on how to flourish in the fashion industry whilst being ethical and sustainable, with the opportunity to network with industry experts. Guest speakers included; Chinasa Chukuwu (Founder of Weruzo; a luxury womenswear brand), Olivia Pinnock (Journalist, Copywriter, Lecturer in Fashion Branding & Journalism and Founder of The Fashion Debates), Tamsin Lejeune (Founder and Managing Director of the Ethical Fashion Forum) and Bruno Rodrigues (Solicitor at Cassady’s Solicitors Law Firm). “In the seminar, experts and specialists discussed sustainable fashion from a multi-angle perspective. They involved the audience in conversation and asked challenging questions aimed at fashion entrepreneurs to bring out possible solutions to the current issues. With consumerism being a focus in the fashion industry, one of the biggest challenge is the huge amount of waste created. As the awareness of the negative impact increases, sustainability in fashion is moving from niche to norm, and many experts and designers are now engaged in this innovative and thoughtful road to sustainability. However it should be noted that there is no single definition of ‘sustainability’ within the industry, and it is up to the individual to decide what is important in terms of sustainability. One of the key areas discussed include the legislation on Anti-modern Slavery which puts pressure on smaller companies to keep track of where their employees come from (to ensure that they are not victims of human trafficking, for example) and regulations that govern how well staff is treated. With many products coming from non-developed countries, it is often difficult to spot slavery, especially with multiple people working on a single garment or piece of accessory. In this sense, it is easier to track the origin of fruit and vegetables, but much more difficult to keep tabs on the fashion industry. The Modern Slavery Act aims to overcome this and businesses are liable if slavery has been found to be present in the supply chain. Other areas covered include the ‘monster’ created from consumer culture and expectations leading to mass production of cheap products. A soft law approach should be introduced through the Corporate Governance Code to regulate this problem, however this is difficult to enforce as it is an internal issue within companies and it is not currently at the stage for parliament to interfere with yet. The presence of micro plastic in water is also a current problem in regards to the environment. Over 80% of our water contains plastic driven by fashion- washing of synthetic clothes. As a result, these particles go into the waste system. As long as there aren’t any regulations and policies on this, there will be no change. We urgently need cross-border laws to deal with these situations in the global fashion industry.